During kitten season, the 8 week and under (Bottle Babies) category are the largest population being euthanized in LA shelters (even across dogs!). 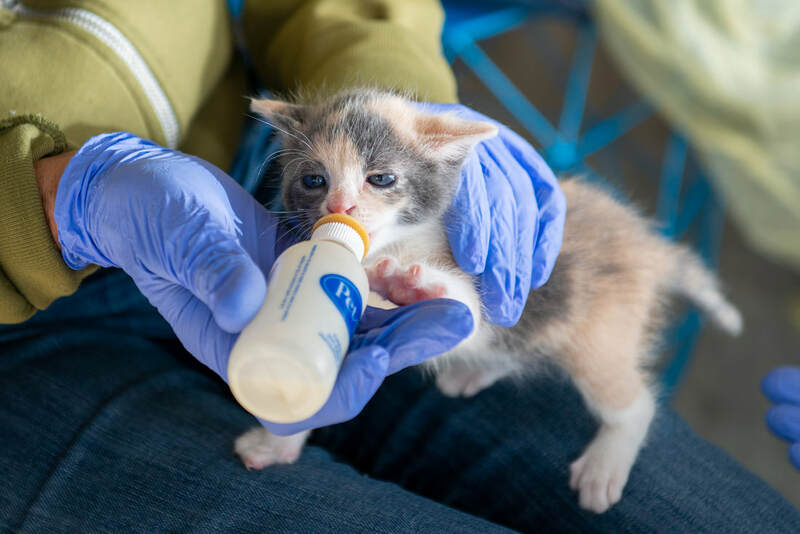 A few rescue groups with kitten nursery resources pull a portion of these Bottle Babies (as long as they have space capacity) and nurse them to adoptable age via on-site care givers and fosters. 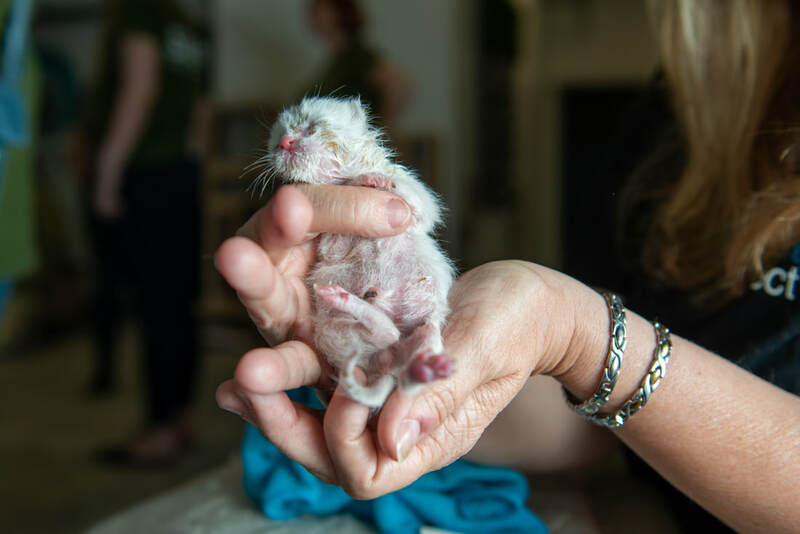 HERE IS THE ISSUE fosters and rescue adoption events do not have the exposure to move the volume of adoptable age kittens needed to open up space for new Bottle Baby care taking. No pun intended, this is a huge bottleneck to saving more kitten lives. ​ADOPTABLE AGE KITTENS WILL GO TO CatCafe Lounge's Kitten Lounge where you will literally be covered in a pile of adorable kittens! Our rescue partners from Kitten Rescue and Stray Cat Alliance couldn't be more excited! The BEST part about the Kitten Lounge is the kittens will be appropriately socialized with other kittens (Single Kitten Syndrome is a REAL thing), potential adopters will get the opportunity to meet and play with the kittens to ensure they are matched with the right personality, and CatCafe Lounge is aiding their rescue partners in saving more kittens this Kitten Season! Foster with our rescue partners Kitten Rescue and Stray Cat Alliance (plus, your foster baby will likely end up at our Tiny Beans Kitten Lounge).